The spread of Hot Pot buffet on offer did not disappoint one bit. The huge variety of both hot and cold offerings certainly made it difficult to decide where to start. While we waited for our soup base to come to a boil, we sampled some hot food which were definitely much more than an afterthought. The chow mein were light yet fluffy, with a pleasant flavour without being overly oily. Meanwhile, the Mapo Tofu was incredibly delicate and soft, with a good amount of chilli oil providing a nice spicy hit. The range of veggies and mushroom on offer were fresh and crisp, well matched with various kinds of tofu and Gigi’s as well as a variety of egg and rice noodles. Also on offer was a small though quality range of protein. The sliced lamb was suitably marbled and fatty, while the marinated beef was incredibly tender and succulent. The crowd favourite was undoubtedly the basa fillets, which were plentiful and just so silky smooth and fresh! 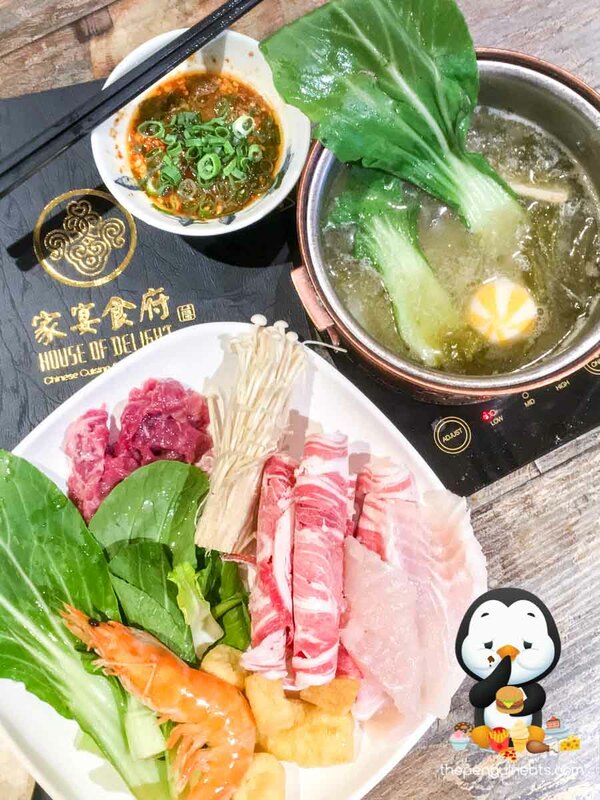 An essential ingredient of any Chinese Hot Pot is undoubtedly dipping sauces, and the variety of sauces on offer were simply incredible. 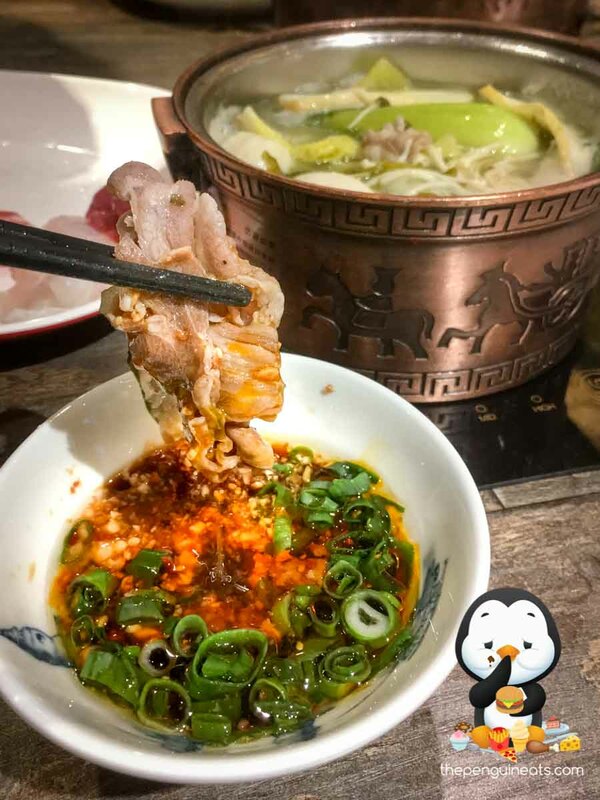 Ranging from your ordinary soy sauce and chilli to more exotic toppings like ground sesame, pepper paste and other weird and wonderful spices that do wonders in spicing up your hot pot experience. 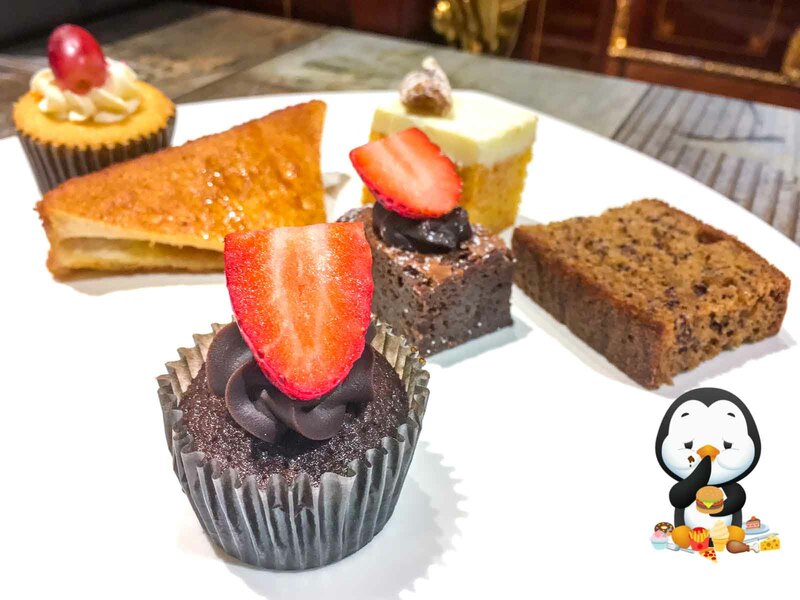 We rounded off our hot pot buffet with some delicate desserts. Despite their rather ordinary appearance, the bite-sized cakes were just divine. Our favourite from the range was certainly the Chocolate Mud Cake, which was just so moist, suitably sweet and rich, and just an indulgent treat. The Banana Bread certainly wasn’t bad either and had a beautiful banana flavour and a moist and spongy consistency. 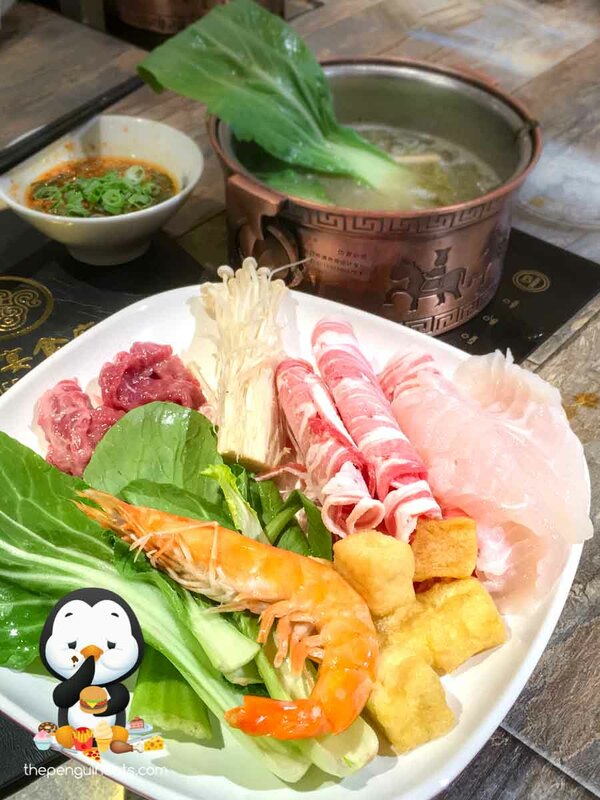 Coming in at a mere $25 per person for weekday lunch, House of Delight offers incredible value and simply an unbeatable quality Hot Pot experience even at double the price. Their range may not be the biggest, but what they do have on offer exceeds any and all our expectations in terms of quality. 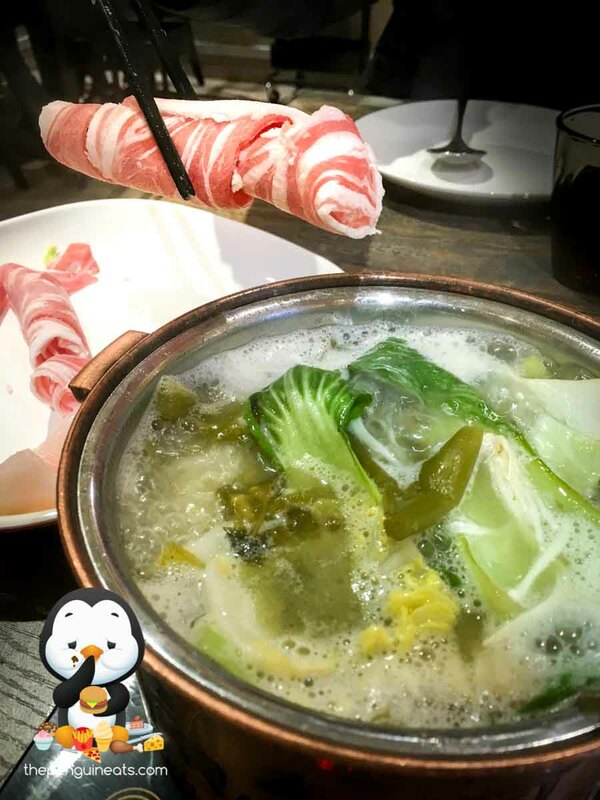 Given this was undoubtedly the best Hot Pot in Melbourne both in quality and value, you can definitely bet that we will be back for more! 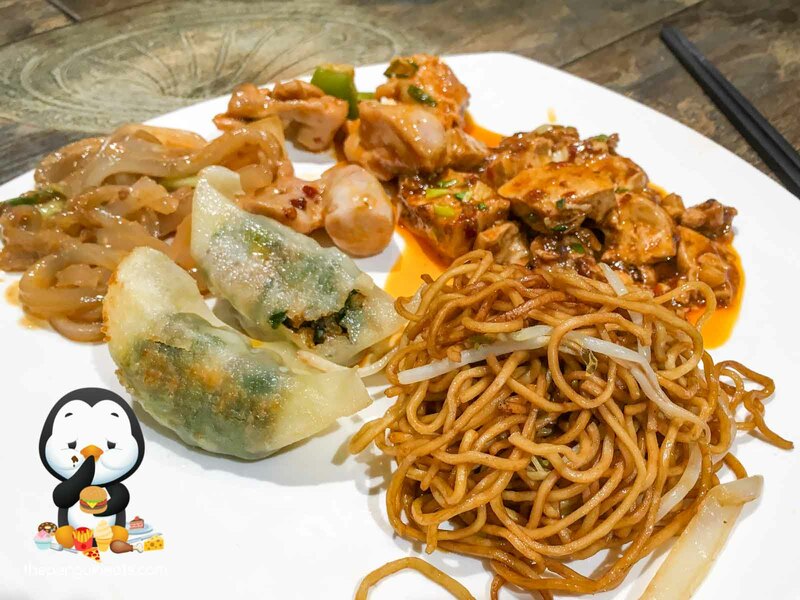 Penguineats would like to thank House of Delight once again for their kind hospitality and for inviting us.